Many of us have trouble with sleep. We don’t get enough and when we do, sometimes it just isn’t restful or rejuvenating. When we don’t get proper sleep, our biorhythms get disturbed, we have spouts of low energy during the day, our immunity is lowered, and we do not detoxify properly. Sleep is such an essential function. If we do not get proper sleep it affects our bodies, moods, cravings, and so much more. In my life, getting restful sleep has been something that I work at, and still work at. It is imperative to put certain habits in place to encourage healthy sleep patterns. I am going to share some of the things that I have found to work for me and my clients. You know that little device that has become an extension of your hand? Yes, your smart phone, laptop, tablet, or maybe a combination of the three? It can be agitating your mind as well as disrupting your melatonin production (too much light at later hours sends mixed signals to your bod). Should you chuck it in the nearest body of water? No, but you can turn it off or put it away at least an hour before bed. I know some of us like to check our phones before dozing off, but maybe just keep it to a minimum. There is also a free program called F.lux for your laptop that adjusts the brightness throughout the day. As the sun goes down the light on your computer becomes a little bit dimmer. I love it! Are you one of those people that watches action movies, surfs Facebook with gusto, or jams out to something like Dark Horse by Katy Perry right before bed? I definitely have these tendencies. This is confusing to the body. Towards the end of the day, your body naturally produces less and less cortisol (which gives us energy). It is telling you to gradually calm down before the point that you go to bed. When we do active activities or things that stimulate the mind in late hours, we are once again confusing our bodies. It is best to do calming activities like a hot bath, read a book, or watch a slower-paced movie or show before bed. This lets you gradually drift off into dream land instead of jarring your mind and body before bed. Try it and see how you feel. At the very least, put any stressful or work related activities to the side at least an hour before pillow time. Honestly, this is going to be a “do as I say, not as I do” kinda thing. I am working on it, though. This is one of my worst habits. I eat at random times, and my bed times are rarely consistent. However, I have had a lot of trouble with my adrenals becoming fatigued (read: low energy at times even with enough sleep). So that should tell you how important this one is. The body loves routine. It likes to know what you are doing and when so it can adjust accordingly. When we throw our bodies curve balls all the time, our biorhythms get off and the body has a very hard time regulating properly. If you are bad about this, maybe start with one focus. Try to eat at about the same time everyday, sitting down to 3 meals. From there you can work at getting to bed around the same time every night (at least during the week). Your body will thank you! Sleep is one of those things that we often let fall to the wayside when life gets in the way. We take on too many activities or we work too late. Whatever it is, we often do not prioritize sleep. Maybe from a FOMO (fear of missing out). The unfortunate thing is when we do this, we sacrifice quality of life a bit. Our bodies don’t feel as energized as they could during the day and over time our health may suffer. Set the intention of getting to bed at a reasonable time, and take the steps to get there (maybe that means lessening the obligations or social activities you take on). This can be a hard one to implement, but awareness is the first step! I would say one of the most popular reasons as to why people do not get restful sleep is an overactive mind. We have been going and thinking all day, now when we try to turn the brain off to fall asleep, it doesn’t want to cooperate. A simple breathing exercise before bed such as taking a deep inhale, holding for 4 counts at the top, and then a long exhale can really help. It gets you to bring awareness to your breath to slow it down, and also take your focus away from your thoughts. 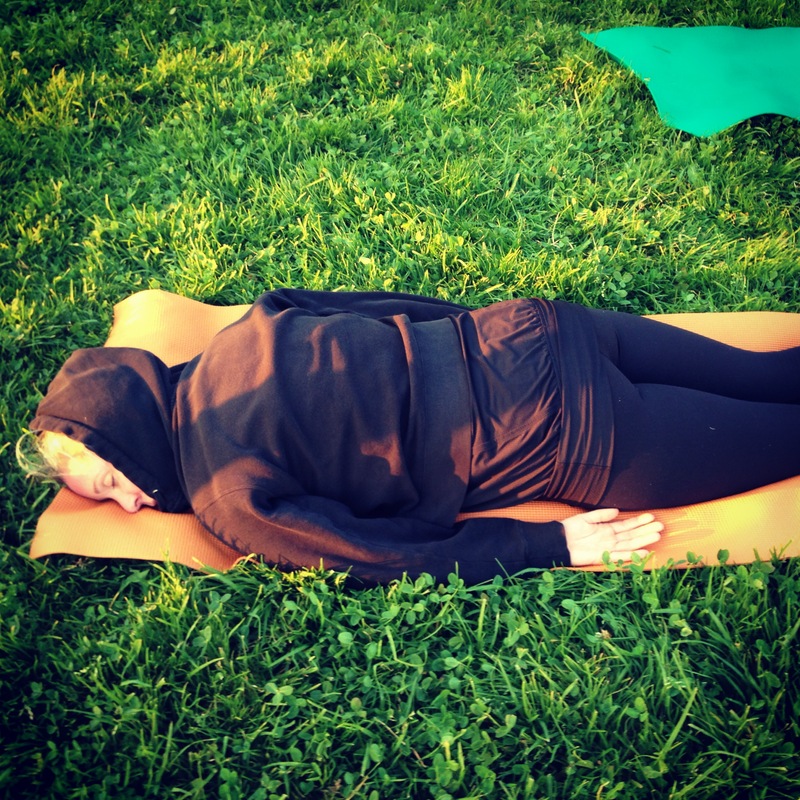 A couple restorative yoga postures can be a great idea. Child’s pose, “legs up the wall”, or reclined bound angle are all poses that will help relax you. I hope you have enjoyed these tips. Sweet dreams!